Arctic Spas® was founded in 1994. The owners grew up on farms and in small rural communities of western Canada, where the value of your word far outweighed your commercial success. We have carried those same values through the entire culture of our business. As a result, the company has grown to an international presence with two factories, five distribution warehouses, and over 230 dealers in 23 countries. We have always been known for our product quality and innovation. 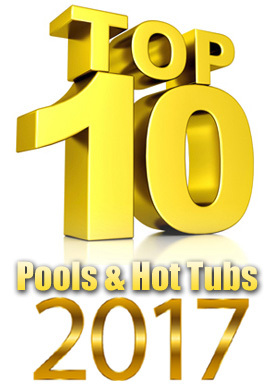 Our focus is to provide a wonderful hot tub experience through designs that cost less to operate and require the least amount of maintenance. Our spas combine the most advanced spa technology with world-class construction techniques to ensure your enjoyment for years to come. We invite you to visit one of our retailers and try an Arctic Spa. How long do plan to own your spa – 10, 20, 25 years? A spa is an investment, and you want to ensure that you can maintain your investment. Arctic Spas® takes several steps to ensure lasting satisfaction. The first step is to build strength from the start. Keeping this in mind, Arctic Spas® uses a self-supporting shell, a multi-layered combination of acrylic and hand-rolled fiberglass. No cardboard tubes holding up the seats, no props under the rim, no need for a mass of foam just to hold things up. Instead, a shell that is strong enough to support the total load of water and bathers by itself. Next, Total Access insures that getting into your spa for repairs or upgrades is easy. We offer up to eight side access panels , which means you can get right to where you need to go. And we keep the spa shell free from foam, making it quick and easy to find and fix any problem that may arise. Each Arctic Spa comes with our FreeHeat® Insulation System, designed to minimize heat loss and to maximize energy efficiency. (Translation: your electricity bills won’t go through the roof). We start at the top with a thick cover, sealed in Mylar to prevent moisture absorption and strong enough to stand on. And where other brands have no floor or a stapled layer of thin plastic, we offer the Forever Floor® of pressure-molded fiberglass (vermin proof and moisture proof). Then we apply high-density urethane foam to the floor, walls and spa rim underside. The result is a protected air space for the plumbing and electrical equipment. Incidental heat from the motors is directed inward through the shell and into the water, decreasing heating costs. This form of insulation has proven itself over and over in the harsh climates of Northern Canada, and its effectiveness was confirmed in a study the Alberta Research Council. Another benefit of FreeHeat® is secure passive protection against freezing in sub-zero temperatures. If power to your spa is interrupted, heat from the spa water slowly transfers to the dead air space, protecting the plumbing and equipment from freezing. 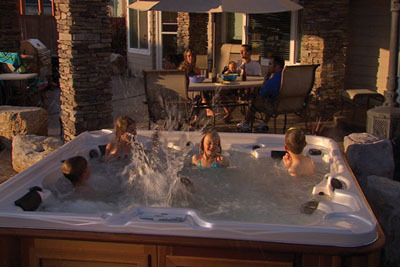 Because our spas are built tough from top to bottom, we are able to offer the most comprehensive warranty available: up to 10 Years In- Home Parts and Labor. Our sturdy cedar construction, combined with FreeHeat®, provides an insulated protected air space for efficient performance of the plumbing and electrical equipment. Incidental heat from the motors is directed inward through the shell instead of outward, thereby decreasing heating costs by capturing and transferring this ambient heat to the spa water. This captured heat acts with the FreeHeat® insulation system to provide a secure protection against freezing in sub-zero temperatures. If power to your spa is interrupted, heat from the spa water slowly transfers to the dead air space, protecting the plumbing and equipment from freeze-up. Even at -40ºC, equipment would be protected from freezing. FreeHeat® allows easy access for servicing and upgrading your spa, or for adding extra jets. It also acts as a sound barrier, so you can enjoy your Arctic Spa without being disturbed by mechanical noise from the pumps and motor. Arctic Spas has been recognized as one of Canada’s 50 Best Managed Companies® and has received numerous national and international business, industry, and design awards. Most recently, the company was awarded the Best of Class Award and the Top 10 Award, This is the 11th year that Arctic has been awarded a "Best of Class" honor for it's products. 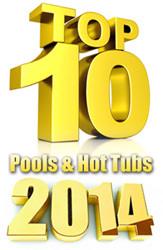 Take a look at the Arctic Spas Videos! Arctic Spas® are ergonomically designed using therapeutic principles. Each spa is engineered to fit the contours of your body, to provide proper lumbar support and to maximize your comfort while the therapeutic waters do their work. Arctic Spas® uses precisely-placed high-flow water jets because a great massage is all about massaging as much of your body as possible and getting down deep to the soft tissue and muscle layers. Plan your daily massage treatment right in your own backyard. Contoured seating cradles your body, while the jets melt away stress and muscle strain. Jump in, the water's great. Leave the hard stuff to Arctic Spas®. Who says cutting-edge technology can't be simple to use? 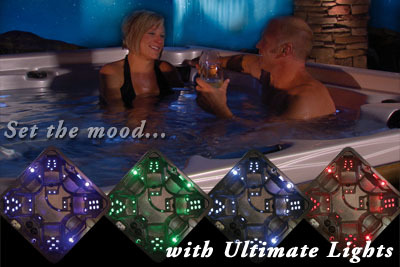 Arctic Spas® offers technologically advanced and user-friendly topside control units with solid-state accuracy. Besides fingertip temperature control, the control oversees diagnostics, flow switch failure, over-heat protection and freeze protection. Heat and filtration cycles are all programmable. The self-diagnostic feature of the control allows for easy servicing of the spa. In many cases our service technicians can isolate and solve problems right over the telephone. 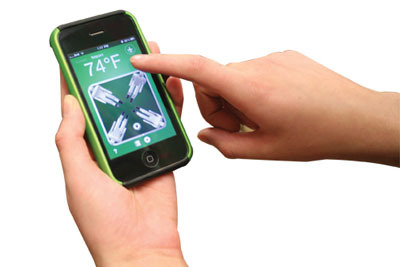 New for 2011, Arctic Spas® became the first hot tub to be controlled by your smartphone with onSpa®*. Want to play your favourite playlist from your iPhone, iPad, or other smartphone device? How about adjust the temperature or filtration cycles from the comfort of your living room? Well with your Arctic Spa, there's an app for that. We are able to retrofit many of previous years' models and even if that isn't possible for you, download our free app to access a wealth of information to make your hot tubbin' even happier. (*onSpa requires the installation of the Eco-Pak). 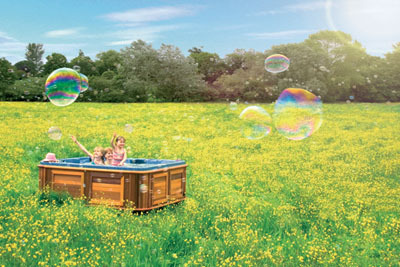 Visit www.arcticspas.com to learn more. Arctic Spas®, engineered for the world's harshest climates®, are truly among the finest spas available. Because we manufacture our spas in Canada, we designed them to withstand the severe northern elements, and that translates to your guarantee of reliability, economy and peace of mind, no matter where you live (and if you happen to live in a warm climate, well your Arctic Spa will exhaust excess heat whenever necessary thanks to our RossExhaust™ system or install an Arctic Chiller to get your cool on during hot summer months...who needs a pool when there's Arctic Spas®? Every Arctic Spa is a work of distinction. By combining the most advanced spa technology with world-class construction techniques, we offer you the highest standards of quality and engineering available. Our attention to detail contributes to your complete comfort and enjoyment. Every Arctic Spa is engineered for ease of use, strength and carefree maintenance to deliver a lifetime of pleasure. Canadian-built with the world's finest materials and advanced technology to withstand even the harshest weather conditions - Arctic Spas are built to perform beyond your expectations, now and for years to come! 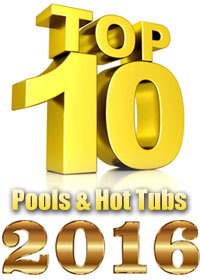 Visit www.arcticspas.com or call 1-800-309-1744 to locate your nearest dealer and or learn more about our amazing factory direct sales. 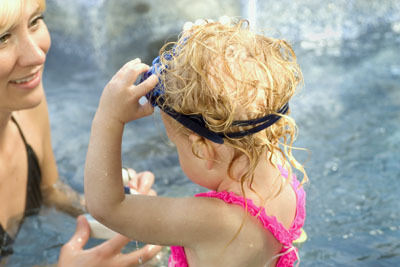 In Canada, visit www.arcticspas.ca .